• Fits direct to components. • Overall size 154mm x 154mm. 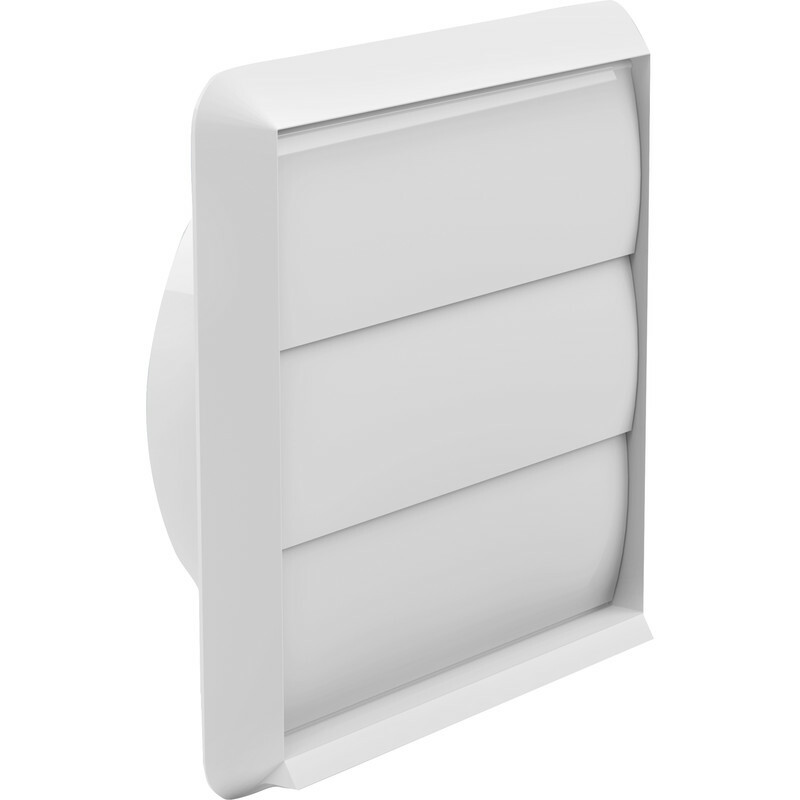 Wall Outlet Gravity Flap 125mm White is rated 4.5 out of 5 by 14. Rated 4 out of 5 by Nicky J from Good Value for Money Good value for money and seems to be the same quality as those sold for 2.5 times more by a big DIY store. Had the same screw holes as the original vent I replaced so was easy to fit. Rated 4 out of 5 by Toolguy from Flaps in wind I've installed a number of these over the years. They do cut drafts through ventilation fans but they can also flap a bit noisily if the wind catches them. Haven't found anything reasonable which doesn't flap but would be nice if it wasn't so loud and noisy. Seem to last reasonably (maybe 15 + years) if on a protected wall. Rated 5 out of 5 by bobwill from Nice and neat. I bought this to save the wife and kids from vomiting every morning from the stench of the downstairs netty. Did exactly as I hope and exhausted the fumes to the outside. The only problem now is environmental health have been in touch.